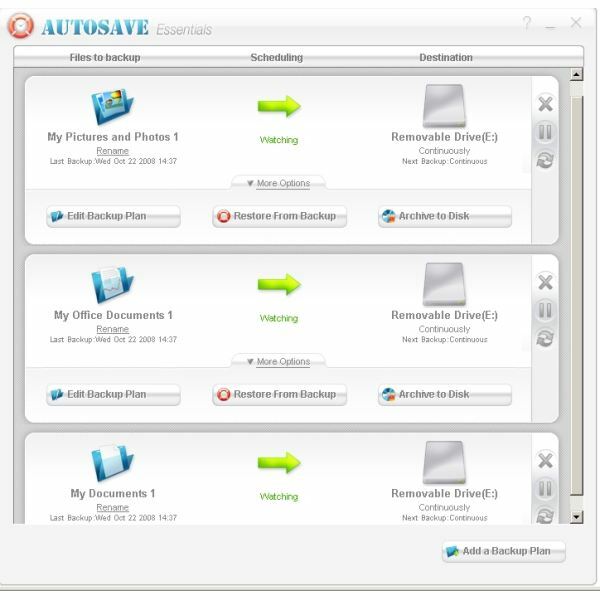 In a series of articles looking at backup solutions for Windows Vista, we’ve examined using the Vista Backup Center and setting up automatic daily incremental backups in Task Manager for the Business, Enterprise, and Ultimate versions of Vista. We found that the Home versions of Vista are far less capable, being able to only backup specific types of data and not able to make a full, recoverable copy of the hard drive. Then we addressed the problem of creating a bootable disk in Vista in order to be able to start a recovery environment in the event of complete hard drive failure. This boot disk allows us to recover the entire hard drive from an external backup. 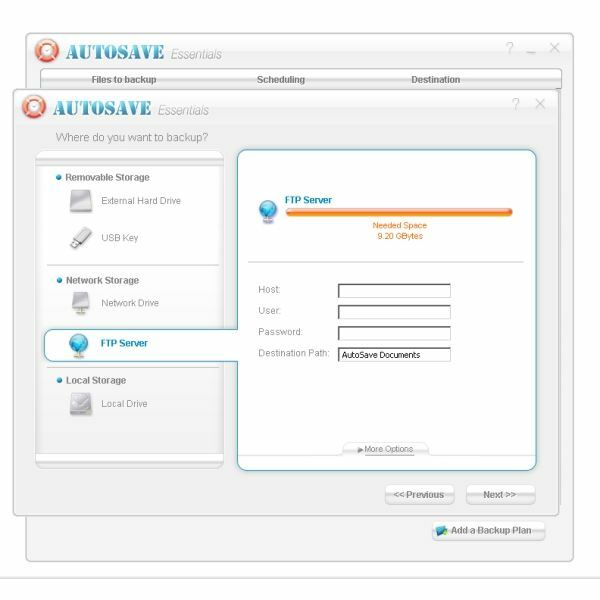 Then we looked at a more powerful solution – Acronis True Image Home 2009 – that not only can make full-disk backups, but also daily incremental backups in all versions of Vista. We found that through the addition of helpful wizards, Acronis is easier to use than ever. We were also happy to find that it had not lost any of its ability to clone a laptop hard drive to a bigger drive, which is what True Image is mostly known for. Now it’s a powerful multi-purpose backup tool, as well. However, Acronis True Image may be overkill for some users. For those seeking an easy to master, unobtrusive, "set it and forget it" backup, without the need to image the hard drive, we’ll now look at backing up not the entire hard drive, but just our essential data. 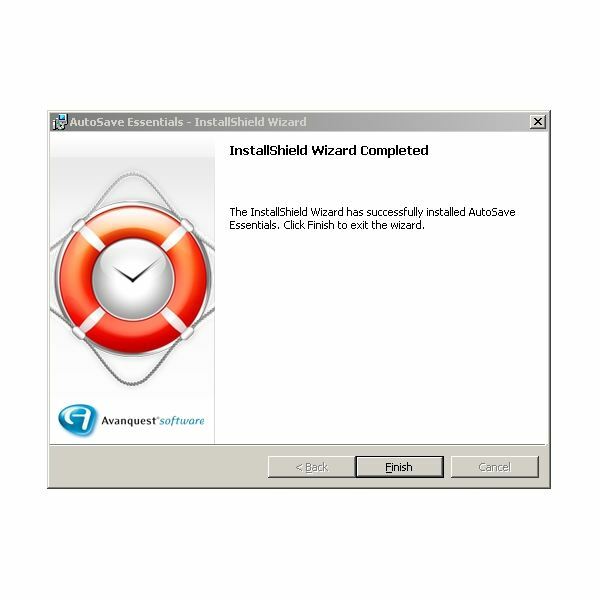 Even better, this is a solution that will work in the Home and Basic versions of Vista as well as in Windows XP. 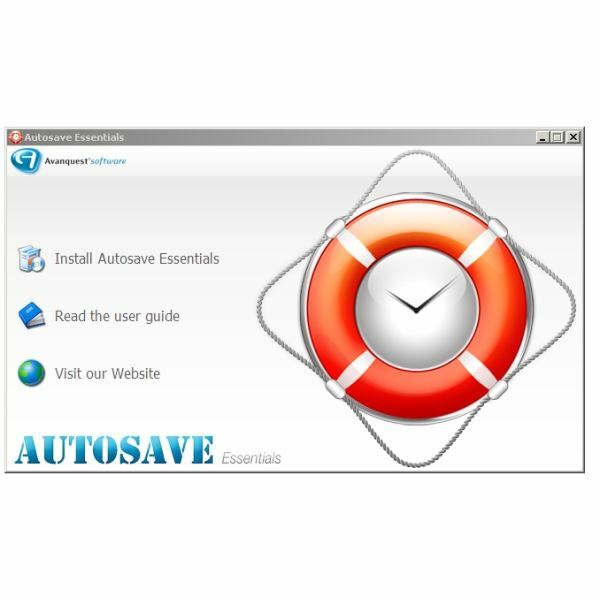 Autosave Essentials is about a 15 MB download, and a trial version is available. The installation is very straight-forward and does not take long. 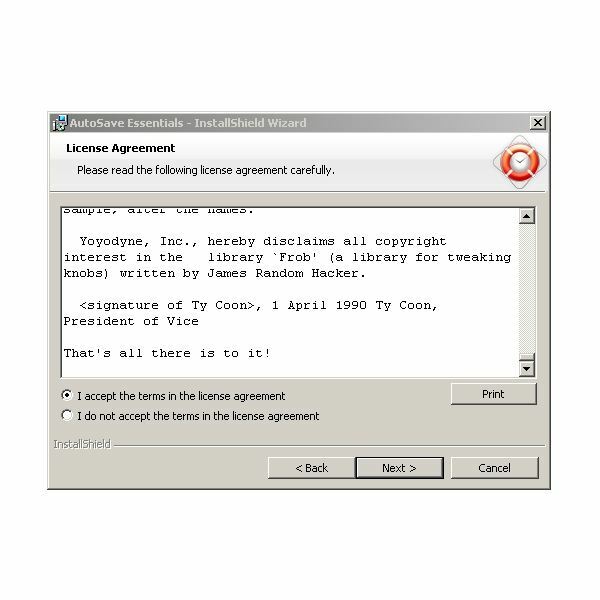 If installing the trial version, you won’t have a serial number to enter, but look closely at the dialog. Click the "Trial" button on the right to continue. 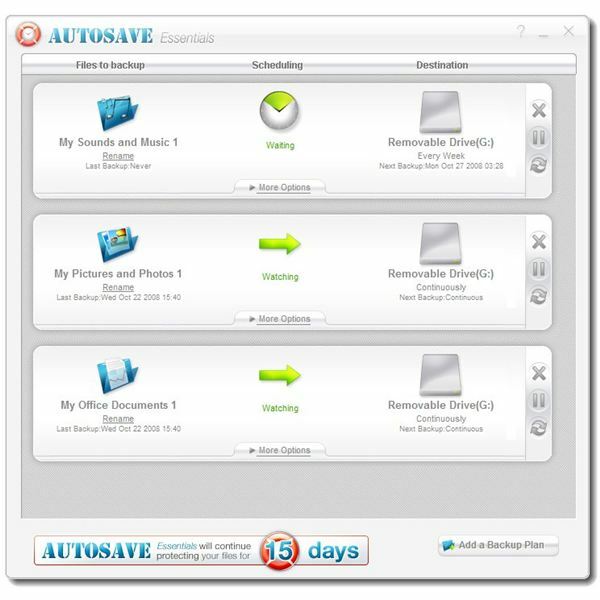 Overall, as you’ll see in the following screen shots, the appearance of Autosave Essentials is very crisp and fresh. I do have one criticism. I installed the program on an XGA (1024 x 768) laptop, and the main application screen did not resize – it showed scroll-bars. I think this could be improved because it is so close to fitting. The image below with the vertical scroll-bars is from the laptop. Note the blank space at the bottom. This suggests that a slight tweak of the program could fix this. Full screen on an 1024 x 768 screen is eating up a lot of screen real estate. Compare that to the program running on a 1680 x 1150 display. No scroll-bars! 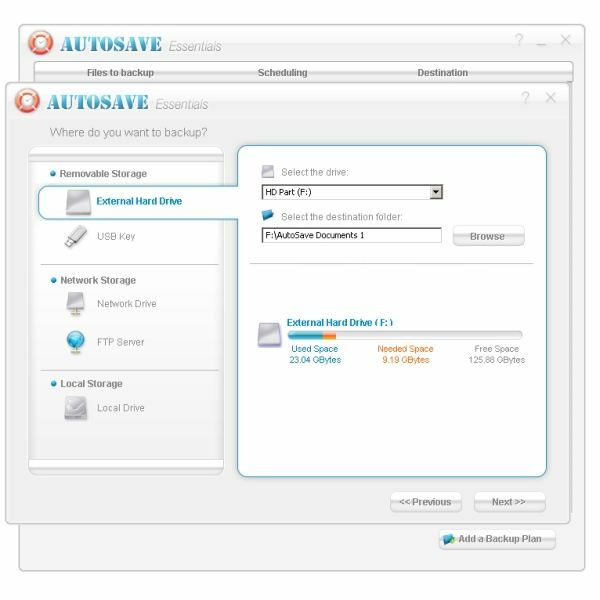 Autosave Essentials shines in the ease of setting up backups, so we’ll give it an excellent rating here. Core to the backup experience is a setup wizard. This is one of the first tasks you’ll do with the program. The next step is to select the backup target. Here we selected a 160 GB USB external hard drive as the destination. 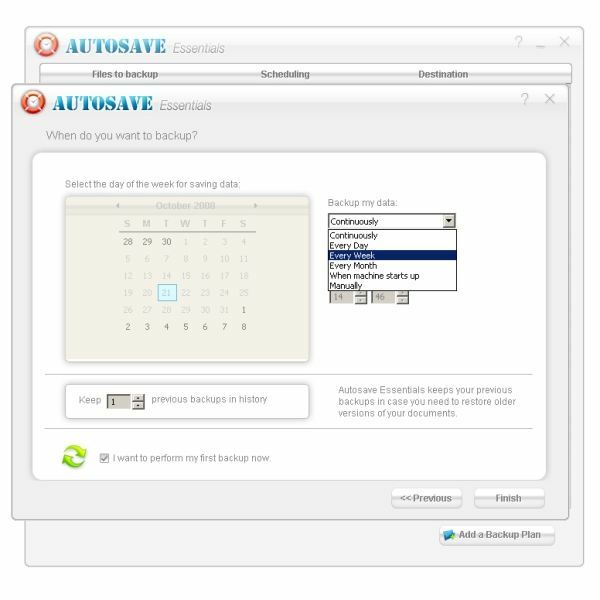 Alternatively, if you have access to an FTP location, you can use Autosave Essential’s ability to place your backup files there – it acts as its own server. Other choices are to back up to a USB flash drive and a local drive such as a DVD burner. The wizard then asks for your intended backup schedule. Choices are Continuously, Every Day, Every Week, Every Month, at startup of the PC, and Manually only. If you have a relatively recent PC and you’re backing up to a large external target (not DVD or flash drive), it’s OK to select "Continuously." Autosave Essentials runs quite handily and unobtrusively in the background. The first back up went great, but with one problem. Let’s look at running the backup first. Do you see the problem? It’s pointing to the wrong drive now. This particular pocket drive is a hybrid drive – it has a "CD Part" and a "Hard Drive Part." 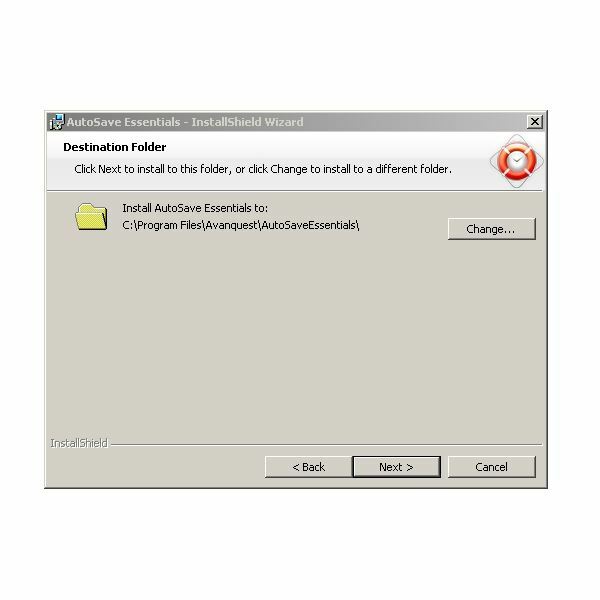 In the setup wizard, I selected the hard drive partition, but Autosave Essentials reverted to the non-writable CD Part. I’ve learned how to flash the hard drive’s EPROM to format it as one big hard drive, but this was a bit of a surprise. So why did we still give a very good rating? Because I think the problem arose from using the hybrid drive. 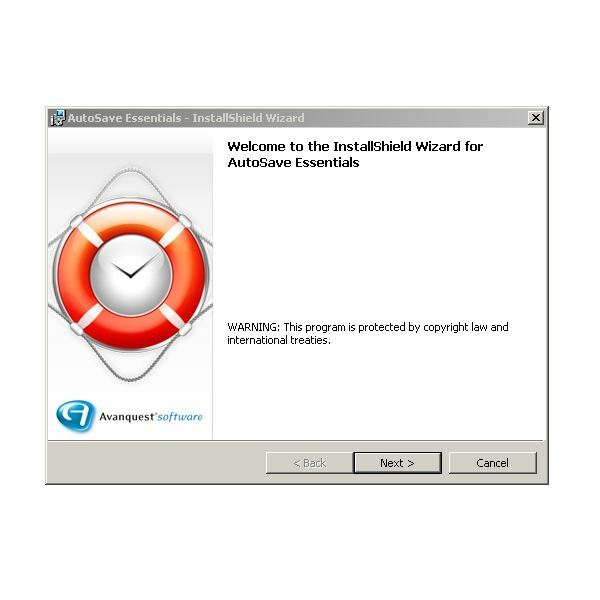 These devices work by trickery, so I’m not surprised that Autosave Essentials got tricked. Also, as shown in the middle image above, once the program was re-pointed to the hard disk part of the drive, it retained the settings and successfully completed the backup. It also remembered after a reboot and then next day, too. So it gets high ratings for "set it and forget it" as well. 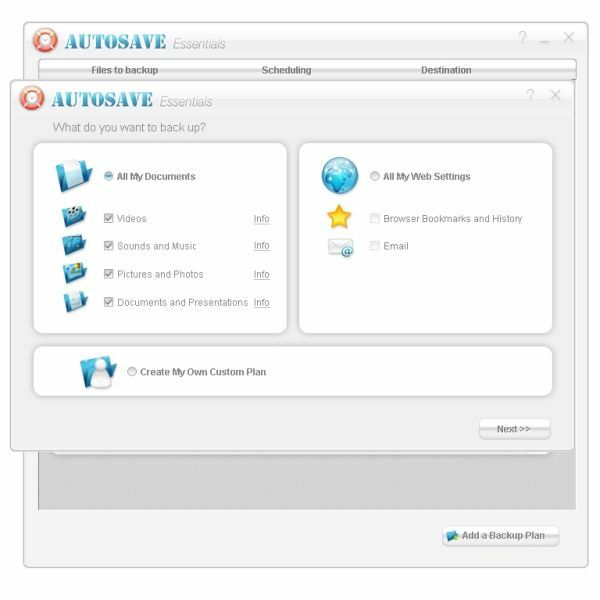 I am very impressed with Autosave Essentials’ ability to run in the background while watching videos, sounds, music, pictures, photos, and documents and presentations for changes. As for the backup performance, with about 11 GB of material scattered around the hard drive and "All My Documents" selected, the first backup ran for only 11 minutes with no more than 25% CPU utilization. This efficiency is far better than the Vista Backup Center in the premium versions of Vista, which bogs down the PC considerably when it’s running. 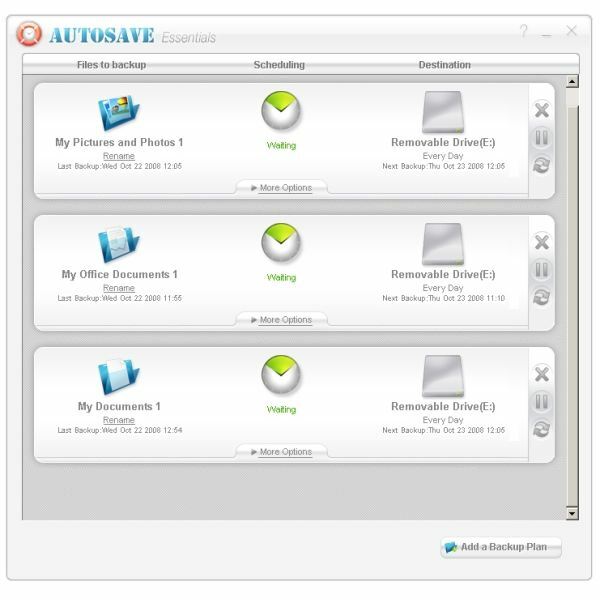 Overall, we’ll rate Autosave Essentials highly and recommend it for those who do not need a whole disk backup program and who don’t want to spend the time to learn a more powerful, more complicated backup solution. Our criticisms were minor – the program did what we expected it to do, did it unobtrusively and quietly, and looked good while doing it. 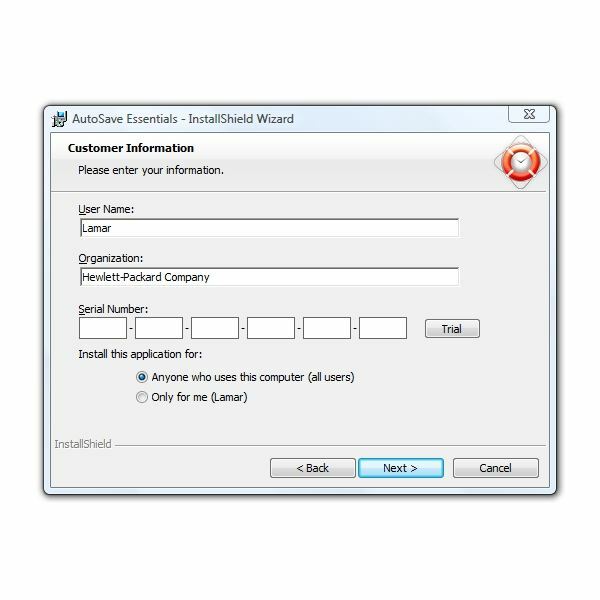 It should live up to its billing as an easy to use and easy to set up application for those who aren’t computer whizzes themselves. And, you know, we can all use a bit more "easy" in this world. Additionally, with most laptops and PCs coming with recovery partitions that contain a copy of the operating system, full disk backups are not as necessary as they once were. That’s truth before commerce. Thank you for visiting the new Bright Hub and for reading this.